Party leader Alison Coffin will run in Michael's former district, leaving no incumbent NDP MHAs in the next provincial election. 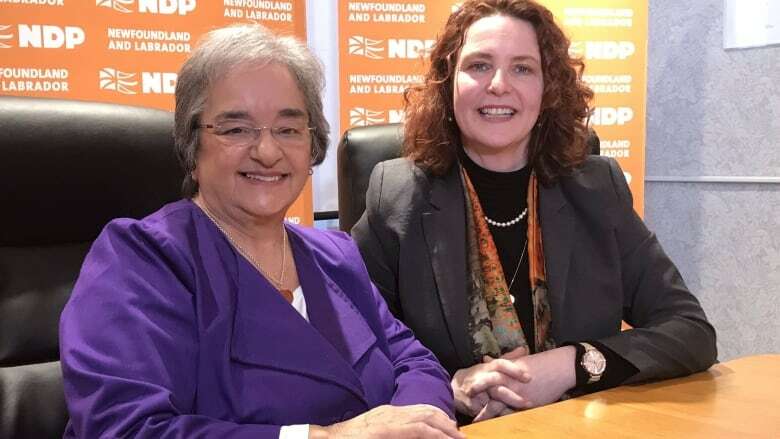 Newfoundland and Labrador New Democratic Party leader Alison Coffin announced Thursday that she will run in the St. John's East-Quidi Vidi district, with NDP MHA Lorraine Michael stepping aside. There will be no incumbent NDP MHAs in the next provincial election. Michael told reporters the decision has nothing to do with her health. She said she is energetic and plans to campaign door-to-door with Coffin. Coffin thanked Michael "for always having the best interests of the people and the province closest to her heart." "Lorraine," Coffin said, turning to face Michael, who was sitting next to her, "I will do everything in my power to reward your confidence in me." The two women then hugged each other. Michael said the "decision comes following many discussions with my party and the election planning team." She said ultimately everyone agrees that it's important for the leader to have a seat in the House of Assembly. Michael said St. John's East-QuidiVidi is "an important home of the NDP." 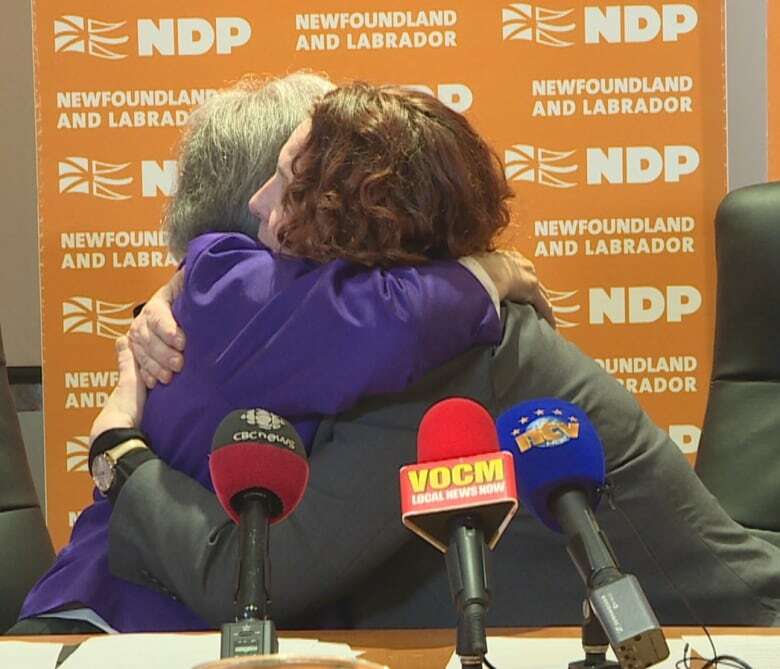 "The party values the district and the voters in the district have, for over 30 years, showed up at the polls to show us that they value having the NDP represent them in the House of Assembly," she said. She urged voters in the riding to vote for Coffin in the 2019 provincial election. Earlier this month, St. John's Deputy Mayor Sheilagh O'Leary announced that she planned on challenging for the nomination in the district. When asked if there had been any discussion with O'Leary about her plans for the nomination challenge, Coffin replied, "Absolutely there has been a thorough discussion with her." "We have invited her to join our team as we plan to have a successful slate of candidates for the next election," she continued. That appears to be news to O'Leary, who initially declined comment to CBC after the announcement Thursday morning. Later, she said she "needs time to think" and that "it's a lot to process" and she needs time to figure out "what's right for me and the public." Earlier this month, Michael had alluded to possibly stepping aside and letting the leader run, for the good of the party. She told CBC Radio's St. John's Morning Show on March 4 that — as of that date — she had plans to run in the St. John's East-Quidi Vidi district. "Who knows, the new leader may also be interested in seeking the nomination of St. John's East-Quidi Vidi. And of course if that were the case I would put our leader and the party first, knowing that we have to get our leader elected. I would do that. 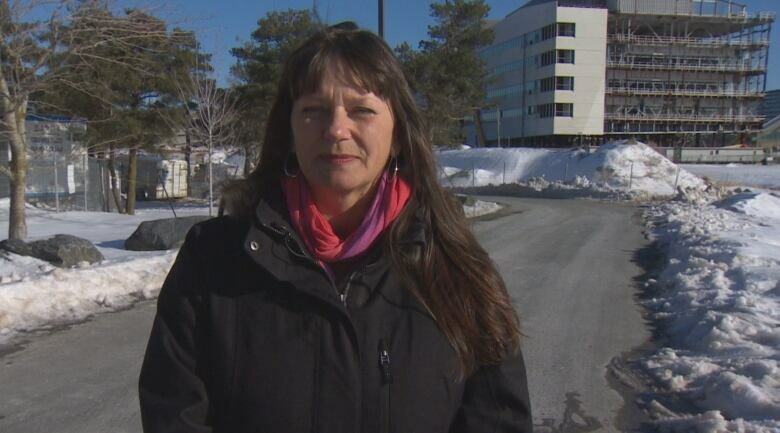 But right now I intend to run for the nomination in St. John's East-Quidi Vidi," she said at the time. 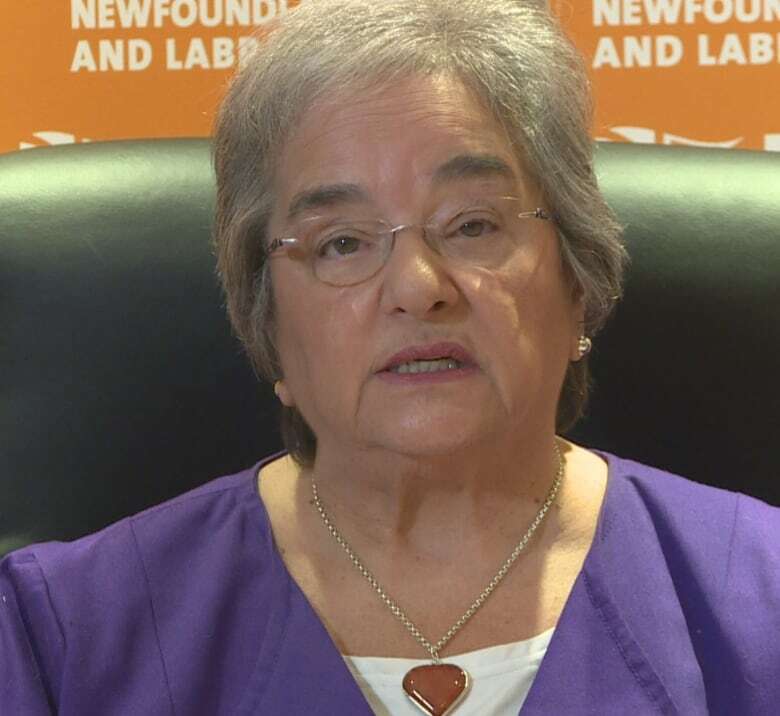 The latest development for the NDP comes on the heels of a decision by NDP leader Gerry Rogers in February, when she announced she would be stepping down and not seeing re-election.